Killer Characters: Look at the Trouble Kate's Gotten Herself Into Now! Look at the Trouble Kate's Gotten Herself Into Now! 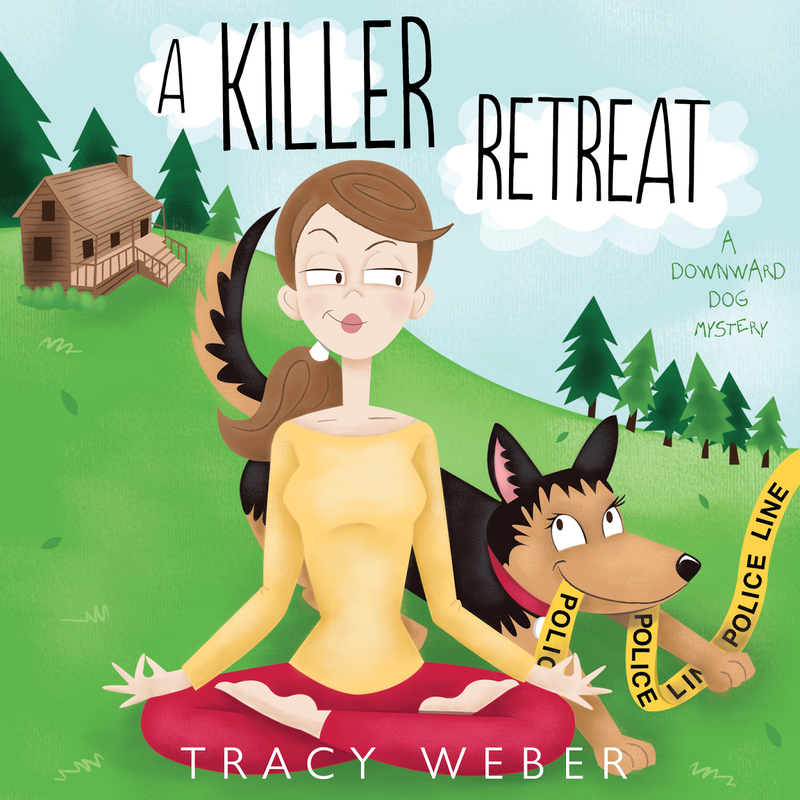 Note from Tracy: July 13 is the official launch date of the audiobook version of my second Downward Dog Mystery, A KILLER RETREAT. 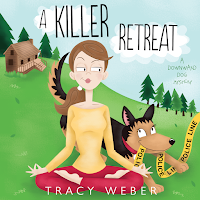 The audio version is available at https://www.amazon.com/Killer-Retreat-Downward-Dog-Mystery/dp/B071JG4SJ9/. Check it out, and please join me at the Facebook launch party! In the meantime, Michael, Kate Davidson's boyfriend, wants to fill you in on the story. I warned her. I told Kate that her temper was going to get her into trouble someday. And man, was I ever right. We're supposed to be enjoying a relaxing week at the Elysian Springs resort. Well, I'm supposed to be relaxing. For Kate, it's a working vacation. She's teaching yoga classes to the resort guests in exchange for our stay. Or she would be, if she wasn't accused of killing one of them. I'll be the first to admit, Monica wasn't easy to like. She was picky, mean spirited, and judgmental. I didn't blame Kate for getting mad at her, but did she have to yell so loudly? I mean everyone in the resort probably heard her threaten to strangle Monica. Kate didn't mean it, of course. She'd never hurt anyone. But no one here, especially the police, know that. I just hope she's not sticking her foot into her mouth again. The police are interrogating her in an interview room, and I'm not there to protect her from herself. I'm stuck out here, but Tracy, Kate's author friend, is letting you peak inside in the excerpt below. Enjoy! Sergeant Bill took copious notes, nodding and smiling encouragingly. After fifteen rambling minutes, I completed my spiel. “You mean I can go?” It couldn’t possibly be this easy. I never got away with anything. Relief washed over me like water in a warm shower. For once, luck and the universe were on my side. I stood up, eased to the door, and rested my hand on the doorknob. Only two more steps and I’d be free. My mind chattered, nervously narrating each action in a silent monologue. OK, Kate, you’re almost there. Stay calm and don’t blow it. I took a deep breath. Turn the knob to the right. The latch clicked and released. Open the door. The hinges squeaked open; a cool breeze caressed my cheeks. As I glanced through the doorway, the empty hall beckoned me—coaxed me toward freedom. The melodic lilt in Sergeant Bill’s voice had completely evaporated. Tension spread from my toes to my scalp. I tried to suppress—or at least camouflage—a mounting sense of panic. I took a deep breath and turned to face him. Sergeant Bill leaned forward, elbows on the desk, fingers laced together. He didn’t look at all friendly. I forced my lips into a smile and tried to look innocent. Sergeant Bill wasn’t smiling anymore. Then again, neither was I. We stared at each other in silence. Thank you for the excerpt Tracy. This sounds like another good story. Thanks, Eileen. I hope you read (or listen to) it and love it!